Shadowhunters Episode 5 Photos: "Moo Shu To Go"
Freeform has released photos from the fifth episode of Shadowhunters, titled "Moo Shu To Go"
Freeform (the new home for ABC Family) has released some promotional images for the fifth episode of their new series Shadowhunters, based on The Mortal Instruments book series by Cassandra Clare. The fifth episode is called “Moo Shu To Go” and the photos feature episodic images as well as some behind the scenes shots, including some pictures of the Jade Wolf restaurant. UPDATE: Freeform has released an official description for “Moo Shu To Go” – you can find the synopsis below the photo gallery. A new episode of Shadowhunters airs tonight (January 19) at 9PM on Freeform; “Moo Shu To Go” airs on February 9. All in all, we have 96 photos from Shadowhunters Episode 5! As always, links to KSiteTV rather than duplication of galleries elsewhere would be appreciated. Thanks! 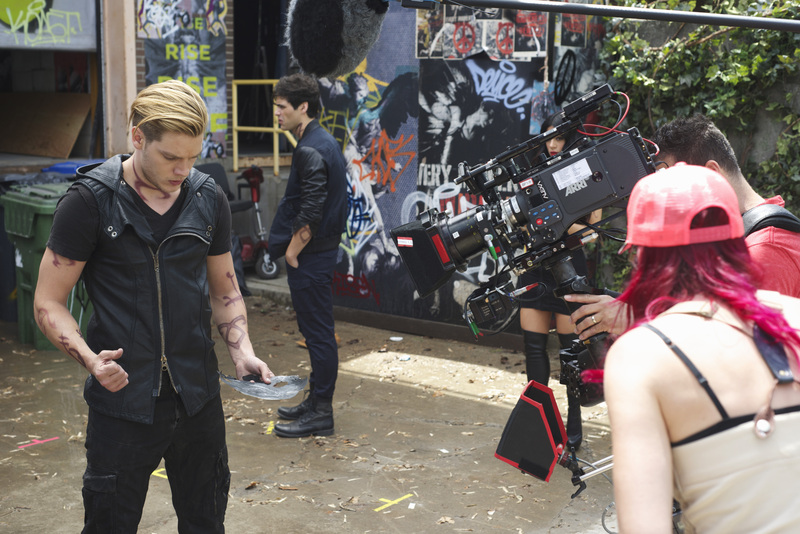 Tensions escalate between Alec and Clary as they don’t see eye to eye on the best way to hunt down Valentine. But when Jace and Isabelle are sent on an intel mission to the Seelies by Maryse Lightwood, Alec is put in charge of keeping Clary safe, much to both of their chagrin. With his hard-as-nails mother back in town and Clary’s rule-breaking tendencies, Alec finds himself struggling to stick to the Claves rules while keeping his promise to Jace. Shadowhunters stars Katherine McNamara as Clary Fray, Dominic Sherwood as Jace Wayland, Alberto Rosende as Simon Lewis, Emeraude Toubia as Isabelle Lightwood, Matthew Daddario as Alec Lightwood, Isaiah Mustafa as Luke Garroway, and Harry Shum Jr. as Magnus Bane.